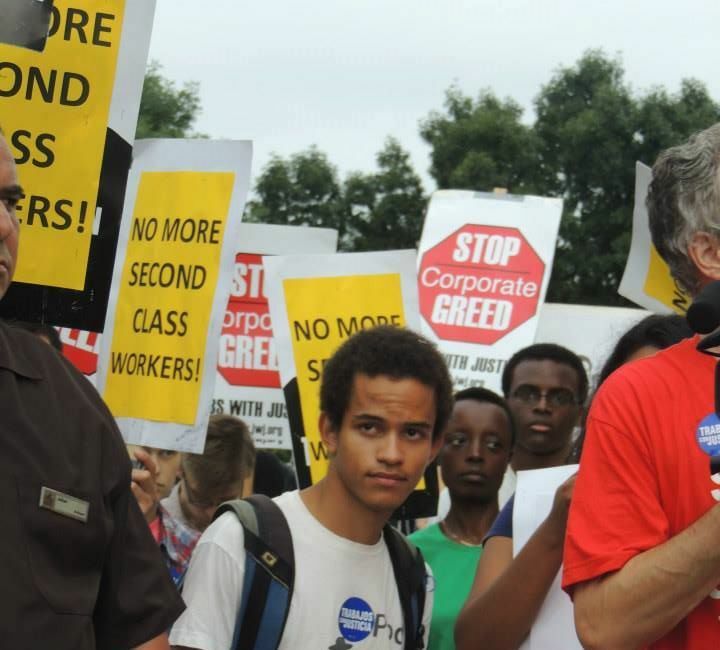 While wealth and political power is everyday becoming more concentrated in the hands of a smaller and smaller number of people, the number of people living in RI who are excluded from the basic right to a safe, living wage job is growing. Unemployment and budget cuts are devastating working class communities in RI, at the same time as employers use workers’ immigration status, criminal record, and other factors to deny them work or exploit them on the job. Workers in the expanding service industry are often paid poverty wages, and don’t have unions they can use to collectively bargain for decent, family-supporting wages, benefits and safety at work. This systematic exclusion creates a second class of workers, un and under-employed people who are then often blamed for our economic downturn and their own poverty. These attempts to blame the working poor, un- and underemployed seek to divide working class and poor people. 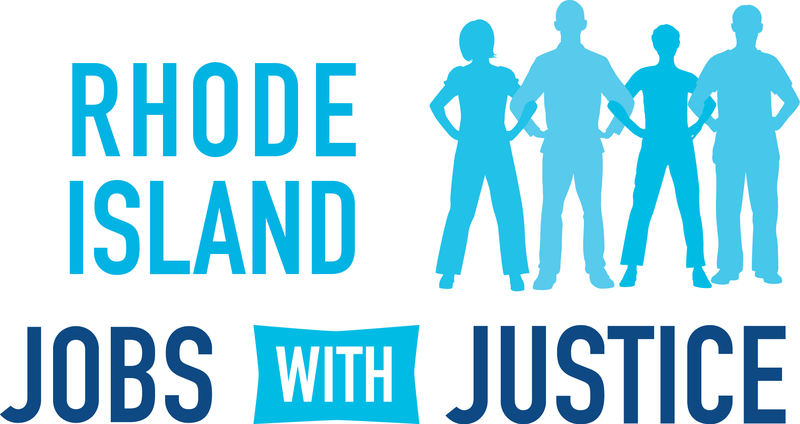 RI JwJ’s campaign work seeks to bridge the divides between these communities, acknowledging that our enemies are the same, and that in order to take them on effectively, we need to work in partnership. We take on campaigns that build and make explicit the connections between these communities and issues. Our “No More Second Class Workers!” program brings together working class people from across the state to fight in solidarity to end the second class status that excluded workers face, and to raise standards for workers in the low-wage industries that rely on people’s disenfranchisement in order to exploit them more, including the hotel and restaurant industries. Our strategy to move more workers towards economic inclusion is two-fold: to support groups of workers in specific disputes with employers, and to work for policy change at the local and national level.